7 Summer Enrichment Ideas for Your Preschooler... in Colorado Springs! 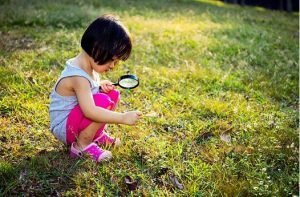 7 Summer Enrichment Ideas for Your Preschooler … in Colorado Springs! This is a great time for your preschooler to keep learning through summer enrichment activities. Young children can benefit from structured activities that can be implemented in Colorado Springs, Colorado. It’s a city full of natural beauty and that offers countless teaching opportunities. You preschooler can continue to move, laugh, play and enjoy being with their friends and peers. As the summer season quickly approaches, your preschool student is as energetic as ever. Engaging in summer enrichment activities may be a better option then a lot of “downtime”. 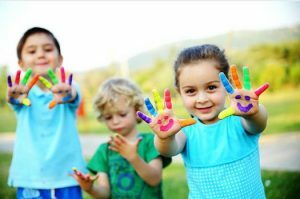 This article gives you 7 summer enrichment ideas for your preschooler. Jumping and Throwing and Kicking, Oh My! Your preschooler’s high energy levels and physical needs know no season. This is the norm for a healthy growing young child year-round. Kids can start developing fine motor skills like writing, drawing, and cutting with scissors. Young children also need plenty of opportunity to develop gross motor skills, like running, throwing, and kicking. Plan a trip to the park or choose a nearby open area. There is no shortage of those in breathtaking Colorado Springs to try these summer enrichment ideas. Print a picture list of items for your little ones to look for. The items can include a leaf, a branch, an insect, a pine cone or any other accessible item you see in the area. Work the alphabet into the activity by having them find objects that begin with a different letters. Young children enjoy spending time with other kids their age laughing, playing, and racing each other. Build a relay course with your kids using boxes, rope, tape, mobile tubes, balance beams, and any other item that is easy to assemble. Kids at this age are discovering the joy of playing together. Let’s encourage them to work together toward a common goal with this classic race. Plan other fun games as a part of their summer enrichment activities. Use an old baby bathtub or a large plastic bin to fill with sand and let kids use plastic kitchen scoops and measuring cups to build. This is a great summer enrichment idea that can be set up anywhere using inexpensive items. Use rice or beans and washable food coloring for young preschoolers and kids who may need an extra boost in tactile skills. Have kids run and collect several leaves in different shapes. Then put craft paper on top of a leaf one at a time. Use a colored pencil or crayon to “rub” the image of the leaf onto the paper. If there are pine trees close, children can collect pine cones and use tempera paint and large paint brushes to paint them. No pine trees? You can bring a bag of the store-bought or previously-collected natural canvases. Manners and Social Skills are a Big Part of Preschool Enrichment. One of the most important lessons preschoolers learn in summer camp is acceptable behavior. Educators start teaching these skills through self-serve lunches and role play, among other tasks. Promote independence and social-skill building during preschool enrichment with self-served lunches. Give children jobs to prepare, serve, and clean up after summer meals. Praise a job well done or gently correct mistakes to encourage positive behavior. What Will We Do Today, Brain? A child’s brain is a sponge that craves information and opportunities to soak up as much as possible. Summer activity programs are tailored to your child’s needs, unlimited energy, and their desire to move and learn. Summer enrichment is often associated with older children, but Young Scholars Academy gives your preschoolers the chance to enjoy a fun, age-appropriate summer learning program that’s safe and focuses on their physical, socio-emotional, and cognitive development. Contact Young Scholars Academy for enrichment for your preschooler in Colorado Springs for summer enrichment programs.